Amazingly, but not surprisingly 85% of all solar power systems installed in homes are in California. California is often a leader in new technologies including those that make energy production and usage more efficient and those that are environmentally friendly. With the cost of solar power having come down considerably over the last few years thanks in large part to the technology having advanced rapidly in the same time frame there’s never been a better time to have solar panels installed in your home. 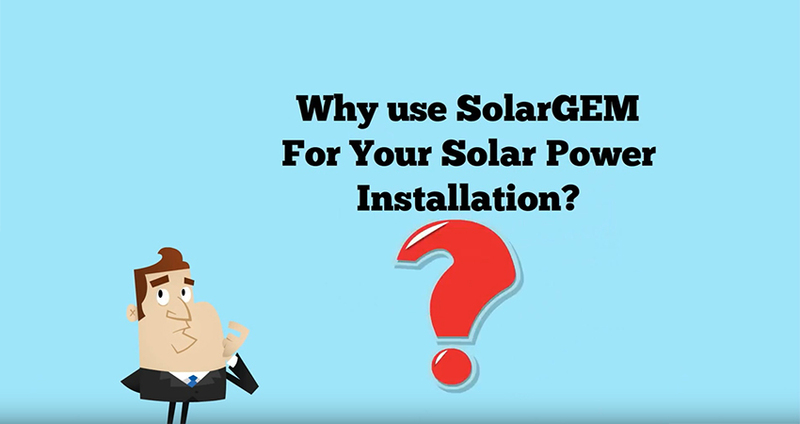 When you contact us here at SolarGem you’ll be greeted by an experienced and courteous individual who will go over all of the benefits that solar power brings with it. He/she will also field any questions and concerns you may have and help put your mind at ease with regards to the technology and even the initial cost of installation. Once you commit to having a new solar power system installed your property will be inspected in order to determine the best location for your new solar panels. We will also go over with you just how much your energy bills will decrease and assist you with tax credits and even state rebates. Once all these things have been completed we will install your new solar panels and let you begin saving energy! With regards to the pros and cons of utilizing solar power there are far more pros than there are cons though in an effort to be objective and fair to our customers we will cover both. In the pro department’s solar energy does not produce any pollution which means there’s less carbon dioxide and nitrogen oxide filling our atmosphere. Additionally solar power systems operate very quietly decreasing noise pollution dramatically. One of the most impressive benefits of having solar panels installed is that the tax breaks and state rebates mentioned previously often pay for up to as much as 40% of the cost of the system itself. The only real con associated with installing new solar panels is the initial costs associated with doing so though this can be offset by tax breaks and rebates. 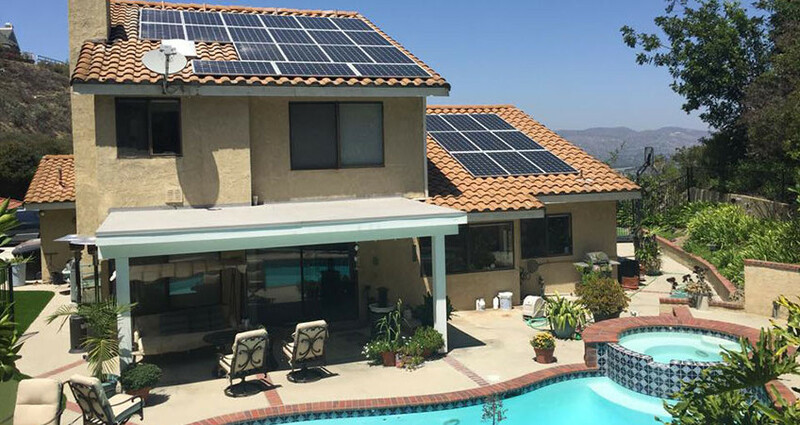 Additionally those who live in volatile climates and those whose homes don’t see much sun won’t benefit as much from solar power as those who live in say Orange County. While you won’t find them on the streets or the freeways of today, solar cars have existed for roughly 20 years or so. Although the technology surrounding solar power has advanced dramatically whereas homes and commercial structures are concerned the technology is still somewhat impractical for regular vehicular travel. That’s not to say that solar powered cars aren’t functional but the amount of power that must be generated in order to meet the power needs of today’s cars is difficult to generate on such a small body and in order to utilize many photovoltaic cells as possible, makers of solar cars often build vehicles that are only capable of carrying one or two persons. 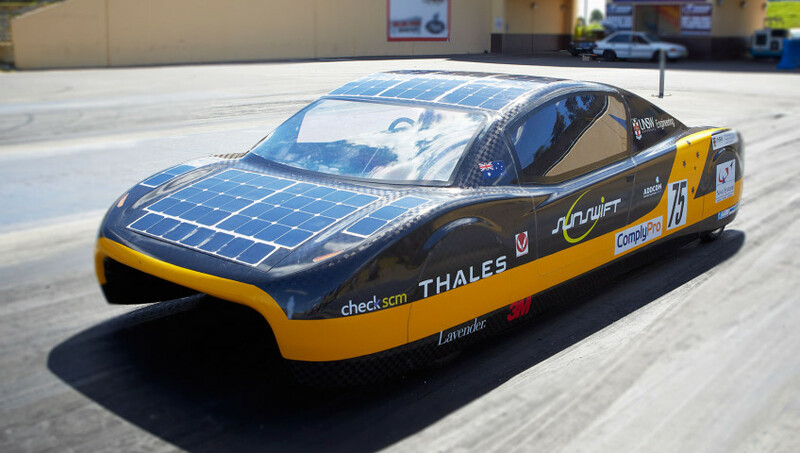 Although they aren’t commonplace on today’s streets and highways the solar power cars of tomorrow will feature an increased amount of solar technology. At some point in the not-too-distant future cars will operate entirely on solar energy and will be more than capable of generating power needed to not only run a car’s engine but address internal power needs such as air-conditioning, movie and audio playback, among other things. 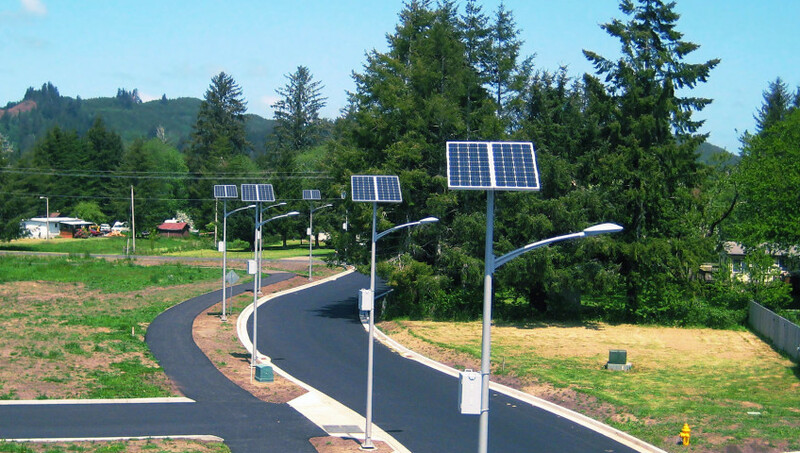 Modern solar vehicles, although not extremely powerful, run efficiently when the sun shines brightly though they tend to run into problems on cloudy days and during the night. Recently scientists working with solar technologies and those who build solar vehicles have been experimenting with battery backups similar to the ones used in houses and places of business. These batteries essentially store gathered sunshine and convert it into electricity only when needed. These batteries are composed mainly of nickel-metal hybrids though they sometimes are made from lithium-ion and lithium polymers. Solar powered cars require these special types of batteries because the lead acid batteries found in more traditional cars are far too heavy. Modern solar powered vehicles are all about efficiency and to reduce the amount of power needed to operate these vehicles the majority of solar powered cars currently only utilize three wheels. Three wheeled solar powered cars typically operate in the range of 80 to 170 volts. In addition to utilizing specialized batteries and just three wheels solar powered cars are designed to collect power when they are not in use. This collection never ceases and helps these breakthrough vehicles gather enough power for their next trip. With efficiency being the goal and power consumption a big concern, don’t expect to find things like iPods, DVD or Blu-Ray players, or any other modern amenities in solar powered cars. Until technology advances to point where power can be gathered and converted at a higher rate these things will be relegated only to more traditional vehicles. Although solar powered cars are not practical for everyday use there are several types of vehicles that utilize photovoltaic panels rather well and do their job efficiently. One such example is golf carts. Many modern golf carts utilize solar panels to carry golfers from one hole to the next. While golfers are busy playing the game these golf carts are continuously collecting and converting sunlight to energy for their next trip. Solar panels work well on golf carts because they’re not driving for long distances and the long periods of rest they in between holes gives them time to charge up. So when exactly will solar power be of practical use for everyday vehicles? That question is a difficult one to answer though we can confidently say that over the next decade or two solar power technologies will change so much and advance so rapidly that it’s hard not to imagine people driving solar powered cars to work, to school, and to the grocery store. How exactly solar power will be utilized in cars of the future is impossible to predict though the technology and its usage will become far more efficient than it is today. Solar Power Advancements And EffectivenessThe technologies utilized in solar power systems have changed tremendously since the 1950’s. In fact so efficient are modern solar power systems that they are nearly 4 to 5 times more powerful than their predecessors of yesteryear. What this essentially means is that home and business owners can have solar power implemented at either their residence or place of business and save more money than ever before on energy consumption. Moreover the solar power systems found in years and decades past didn’t always generate 100% of a businesses or residences power needs though these days even the most modest solar power systems are capable of achieving his feet. The popularity of solar power is soaring thanks to the aforementioned advances in solar technology and in part because of the rapid technological enhancements have helped drive costs down. With so much focus placed on the ability to be energy independent and keeping consumption costs low, it’s very common for individuals to overlook several other facts about solar technologies. Unbeknownst to many home and business owners the state of California as well as the United States federal government offer financial incentives to those who elect to have solar power systems installed. In some cases up to 40% of the initial cost of the system and installation is covered by these incentives. Home and business owners also frequently overlook the significant increase in property value is solar power systems carry with them. 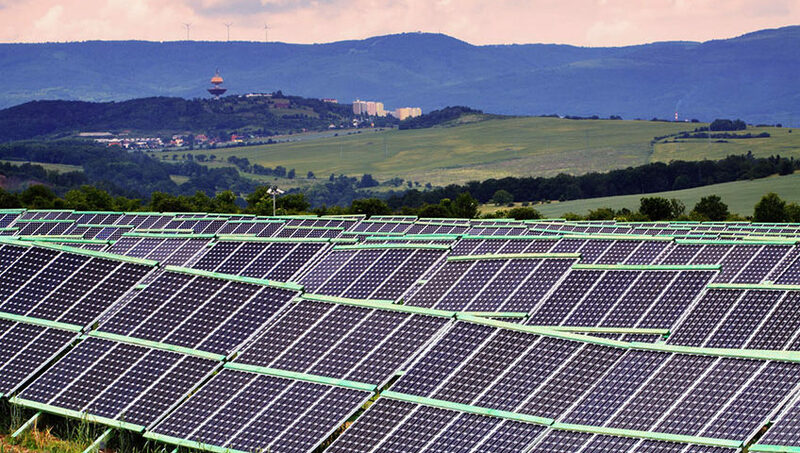 Any home or place of business that utilizes solar power rises in value dramatically very quickly. Again, with so much focus placed on solar power saving individuals money and allowing them to be environmentally conscious it’s easy to forget exactly what solar power does for homes and/or places of business. Even the most inexpensive solar power systems these days can address the high demand for power that are found in modern offices and homes. Whether it’s heating, air conditioning, lighting, computing, or refrigeration solar power systems can handle the heavy workloads of modern appliances and technological devices. While remaining excited about saving money on energy consumption and remembering what solar power can do for home or place of business it’s time to talk installation. 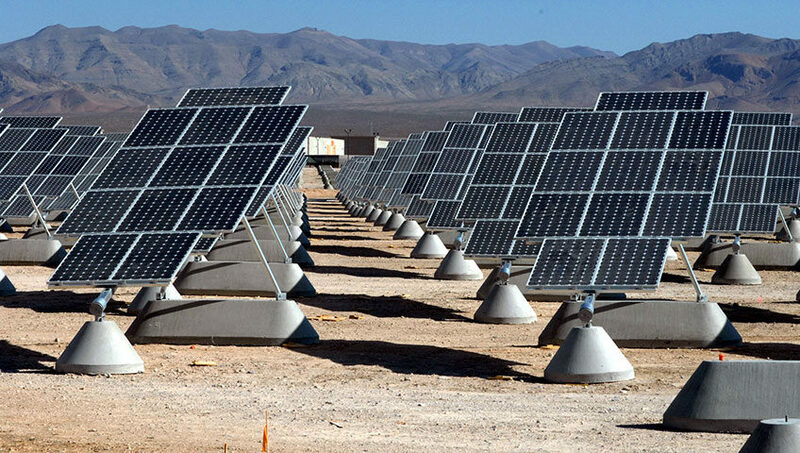 Installation of solar power systems, including panels, is generally handled by professionals as the job requires not only a knowledge of how solar power works but precise measurements and knowledge of special equipment. Fortunately home and business owners will often find that their preferred solar vendor also offers affordable installation services. Generally speaking once installation is scheduled the job is completed within a matter of hours, at least whereas homes are concerned. Installing solar power into commercial structures however may require more time should a building be particularly large or have unusually high energy requirements.